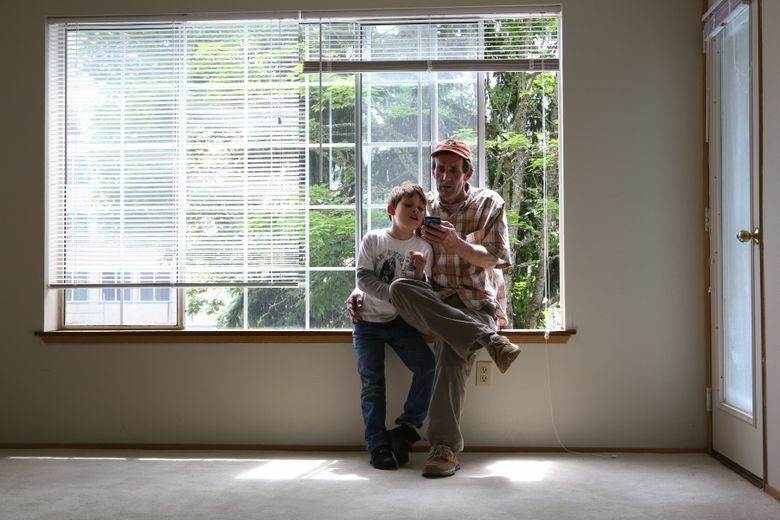 Even after being placed in a rapid rehousing program, a local single father figured he’d have to hustle to find housing in King County. Two months later, he was still looking. On a recent Saturday, Townsend Tatterson IV answered his cellphone and listened silently as a property manager told him his rental application was rejected. He’d spent the morning organizing documents to prepare for another day of apartment hunting. As he headed toward the building, he got the call about the one-bedroom apartment he’d applied to rent the week before. Unlike some others he’d found sifting through online listings, the place was clean, spacious and most important, the property manager was open to considering subsidized tenants. In making his pitch, Tatterson was upfront. At 54 years old, he’s homeless, self-employed single father, recently enrolled in a program designed to move people without shelter indoors quickly. Called rapid rehousing, the programs provide temporary rental subsidies for those who can’t otherwise afford a market-rate apartment. The letter he handed to the manager says Neighborhood House, a local nonprofit social-service provider, would cover move-in costs and provide rental assistance on the apartment for a year. But the company that owns the complex, a sprawling collection of multiunit buildings in North Seattle, takes a hard line on credit scores, the manager told him. And Tatterson’s was south of their mark. 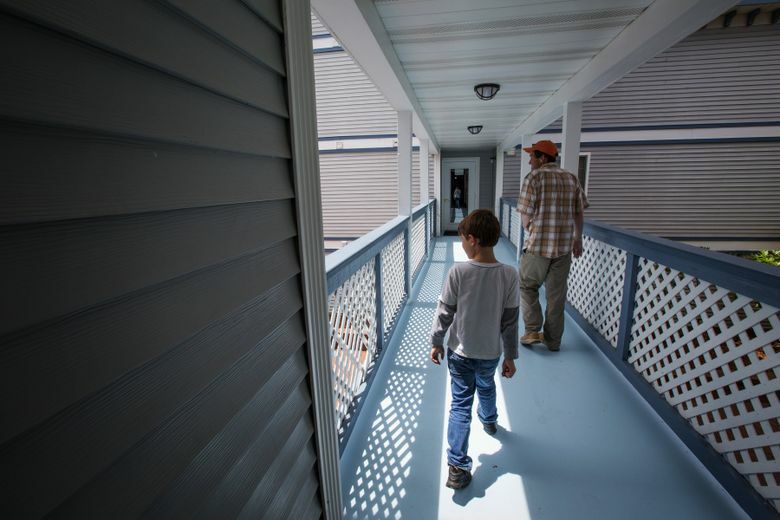 Critics of rapid rehousing say the difficulties faced by Tatterson and others demonstrate the limitations of the program, as the new emphasis on housing more of the most difficult-to-help clients runs up against the realities of the region’s overheated housing market. In and around Seattle, that involves enrollees struggling to overcome problematic rental or personal histories and a shortage of willing landlords. How difficult is it to secure housing? 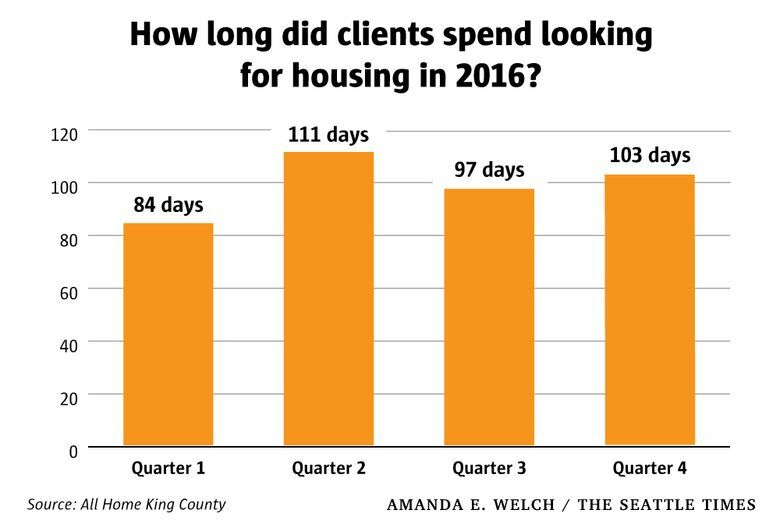 Recent tracking numbers show that enrollees of local rapid rehousing programs, many of whom were living without permanent shelter at the time they enrolled, spent on average roughly 100 days looking for housing. Still, the U.S. Department of Housing and Urban Development has concluded that the program is an affordable and effective tool for moving people from homelessness to stable housing. 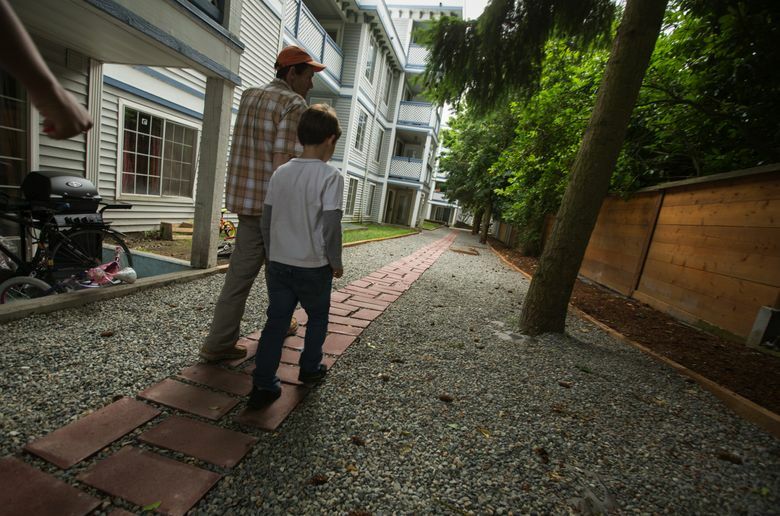 Acting on recommendations from two high-profile consultant reports, Seattle officials have begun to expand or “scale-up” local rapid rehousing programs funded with city dollars. Since last year, the city’s total contribution to rapid rehousing programs for families and single adults has increased from 8 to 13 percent of all money spent to house and shelter the homeless. That represents a total commitment of just more than $4 million, soon to grow even higher in 2018. Tamera Kohler, director of Seattle’s homeless strategy and investment analysis unit, said it’s to the city’s advantage to put greater emphasis on rapid rehousing. Mark Putnam, director of All Home, the body that helps implement the regional plan for reducing homelessness, acknowledges that for rapid rehousing programs to work clients need to first find a rental unit. Nevertheless, critics of the move see the city increasing funding for a strategy they say leaves vulnerable clients at the mercy of the housing market once their subsidy ends. Waiting outside a duplex for a scheduled showing to start, Tatterson said he’s more concerned with getting into an apartment than what will happen once the subsidy has run its course. ”Right now, all I want to do is just tell my son this is over,” he said. Tatterson was a few years into a career as a technical writer when he decided to pursue a long-standing dream of becoming a charter fisherman. Within a few years, he said, he’d built a solid base of clients and begun operating several boats out of Alaska and Puerto Vallarta, Mexico. In 2010, he was trying to unhook a 600-pound blue marlin when the fish knocked him to the floor of the boat. He said the resulting spine and hip injuries left him in immense pain and unable to stand or sit for long periods. Tatterson said the addiction crept up on him slowly. At its height, he was flying to Puerto Vallarta every few months to buy hundreds of dollars worth of prescription opiates under-the-table. He ultimately lost his fishing business, his marriage and most of his savings. He was living in an apartment in Kitsap County when they finally ran out. In February, he fell behind on rent. To avoid an eviction, he ceded his deposit, broke the lease and began sleeping in a family-sized tent in a public campground at a local state park. It was then Tatterson said he realized he needed to get sober and find them a home, preferably near a medication-assisted opioid treatment program. That presented a problem, as he lived in Kitsap County but got treatment in Shoreline. He called 211, the line that accesses King County’s shelter and housing system for homeless families. 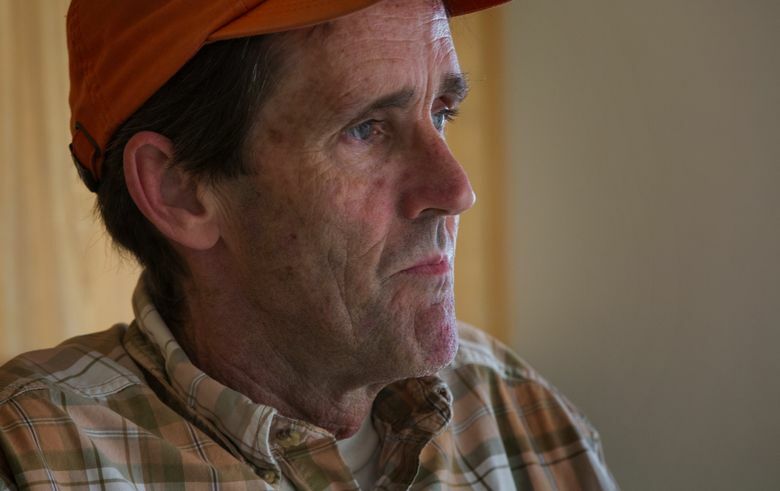 After taking a needs assessment, he was assigned a case manager and slotted into a rapid rehousing program operated by King County-based Neighborhood House. Rapid rehousing sounded promising initially, Tatterson said. 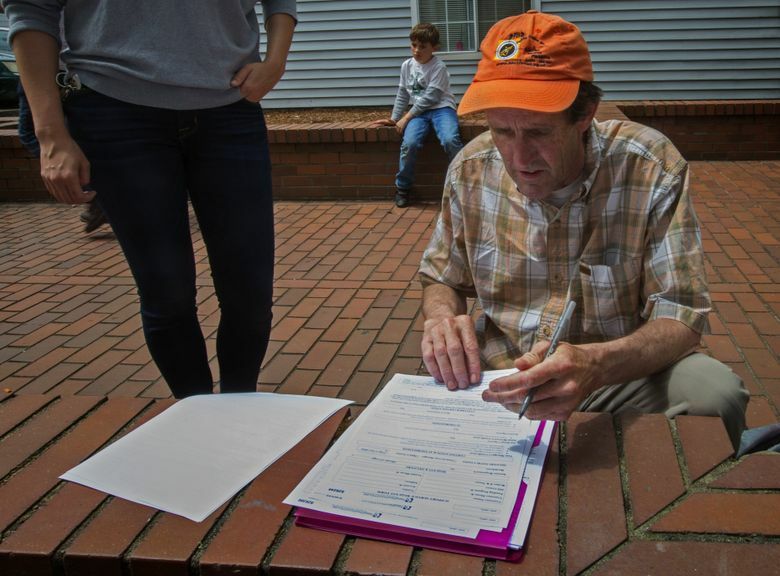 Instead of waiting for a spot in a shelter or other subsidized facility, the nonprofit would pay his initial move-in costs and up to $1,450 a month for the lease on a one-bedroom apartment. If he could secure an apartment quickly, he could better get on with finding a permanent job to support himself and his son. Things were finally looking up. The problem wasn’t finding suitable listings so much as making the pitch to skeptical landlords. He’d fill out an application, only to receive a phone call from the property manager a few days later saying that given his credit score they’d need his tax returns or other documentation of his financial history. Early in the search, he secured a space with a handshake only to be told the next day that his credit score was too low. More than once, Tatterson said, he lost out on an apartment because he didn’t have the funds to front the initial deposit. Neighborhood House covers those costs as part of the program, but processing a check can take a week or more, he said. Earlier this month, his frustration with the program began to boil over. Each day after dropping his son off at school in Kitsap County, he’d take the ferry across Puget Sound and head to Shoreline for a daily dose of methadone. He’d spend the next hours at North Seattle College scouring apartment and job listings on his laptop, and sending emails to the Neighborhood House case manager, whom he said was mostly unresponsive. Tanner Phillips, Neighborhood House senior housing manager, said it’s common for a participants to search for as long as two to three months before securing an apartment. The two case managers assigned to the program try to connect each client with services to help them find and keep housing, he said. But each carry about 40 active cases. “We’re trying to speed the process up, but we’re really hemmed in by the housing market right now,” he said. To help mitigate its effects, the organization recently hired a new staffer to establish relationships with area landlords who have open apartment space and immediately connect them with clients. By late June, Tatterson was running out of money. He picked up odd jobs instead. He’d hope to make a few dollars refurbishing a vintage bicycle. A Safeway gift card he exchanged for cash helped pay for a few nights’ worth of camping fees. But rental applications, some of them as expensive as $40, were draining his accounts. His only real income was a $450 monthly Temporary Assistance for Needy Families stipend, and $300 in federal assistance for food. After viewing a North Seattle apartment one weekend, he had a reason to be hopeful. It had plush white carpet and enough room for him and his son. He filled out an application, and paid cash for the $48 credit check. Eventually, it was all worked out, Tatterson said. The property manager handed over the keys on a Monday. But now Tatterson has other worries. He has to find a job, one that will pay him enough to begin paying a portion of the $1,450 monthly rent for his new apartment. He said there may be an opportunity to go back to captaining fishing boats. He’d spoke with a local owner, who had talked of paying him $200 per trip plus tips. But that work is only temporary. Tatterson said he also worries about the area near the complex. It is quiet, he said, but still close enough to the notorious Aurora Avenue corridor that he worries about his son witnessing something inappropriate. As for himself, Tatterson said he’s confident in his sobriety. “After everything I’ve been through, I’m almost glad it’s close,” he said.